the adventures of tartanscot™: "Crossing Boundaries . 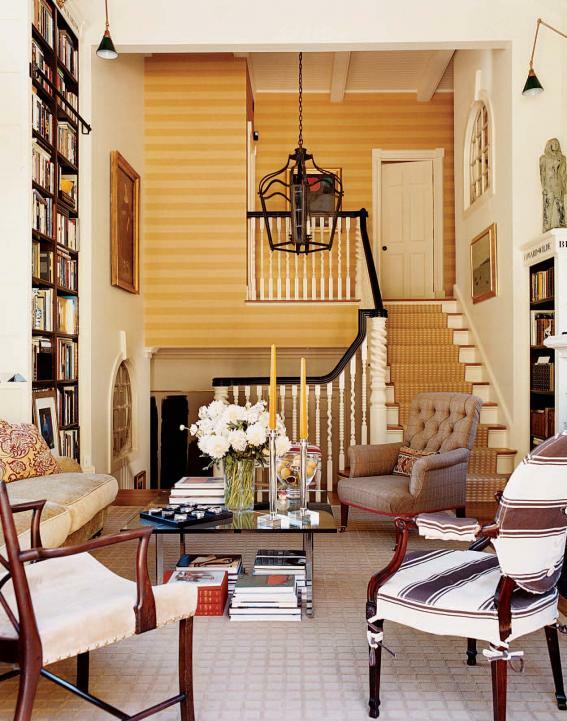 . . "
From House & Garden's "Book of Style"
Stairs. A simple mathematical balance between 'rise' and 'run.' But a mysterious architectural feature. The strict border between the public spaces - and the more private parts of the home. 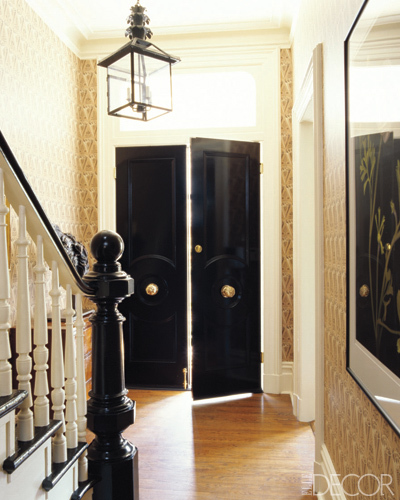 The formality of an entryway - giving way to quiet rooms meant for slumber. The stairwell offering slight glimpses of the unknown personal rooms. So they can serve as a barrier - but can also be an invitation. They're almost flirtatious. 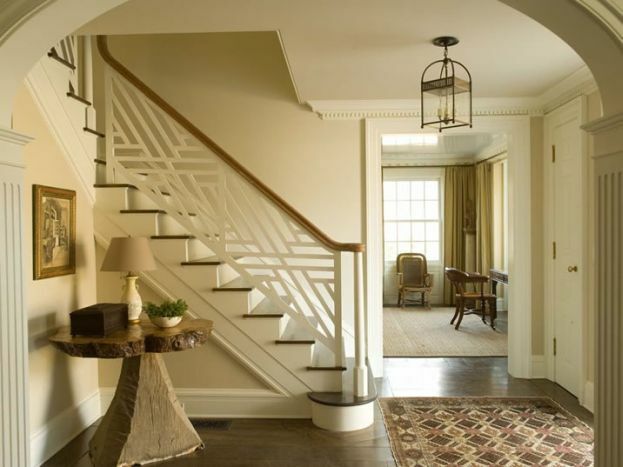 "the nape of the neck"
For the love of stairs! What inspiration on a snowy day in New England. I love the way you write, Scot, it always has me coming back. Ok, Scot! You did it again! Again.. a tres chic post! Gorgeous staircases! Have a wonderful (and hopefully, sunny) day! 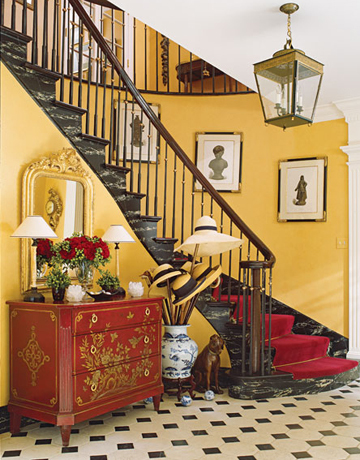 beautiful staircases...especially that one of Miles Redd. 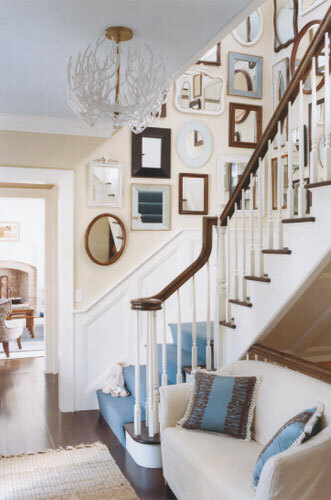 I adore the way you organize a theme with delicious examples. I never thought of it as parts of a woman's body.....how seductive! Romancing the stairs...this is the month of wine, chocolates, roses, sweet whispers, stolen kisses, glimpses and glances. Passion...I heart  it! Great post. Oh my! 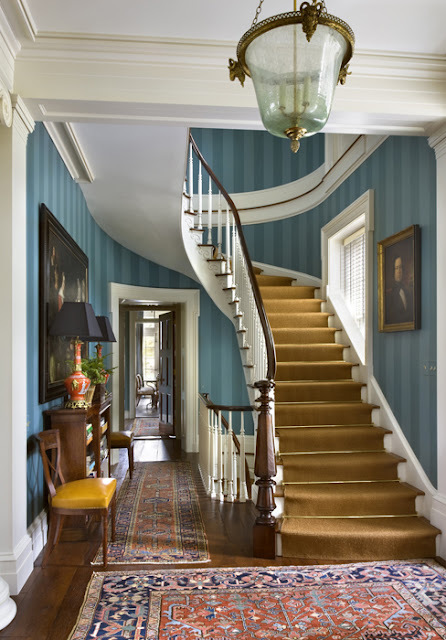 I can't take my eyes out that deep blue staircase carpet! Fabulous picks and fun flirtatious analogies!! As a single story gal, wow! 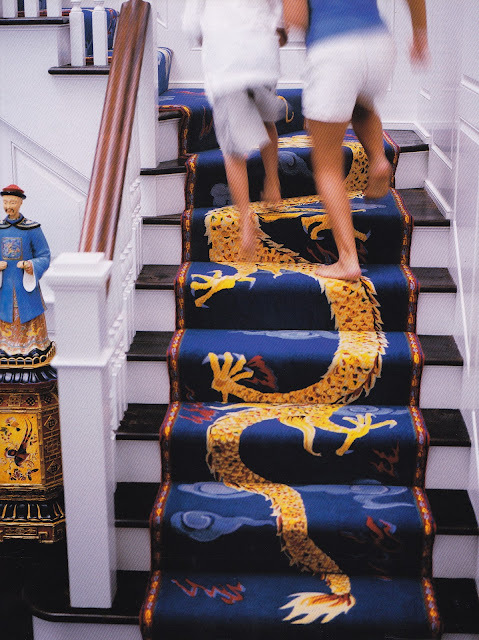 What great images of stair cases and I love your labels! OMG . . . that first picture is amazing! So provocative and playful! Great post, Scot! I loves me some stairs. I always love the stairs of old- front and center but even more so- steep back stairs of the old houses for maids and servants,lest they go detected on the front stair. I think the first is spectacular, is it a Diamond Baratta house?